Foamy bark canker has been detected for the first time in Santa Cruz County and sudden oak death has been found for the first time in San Luis Obispo County. Growers in these counties should be on the lookout for these pathogens and be aware of the quarantine regulations that may affect them. In early September 2016, CDFA identified foamy bark canker (Geosmithia pallida) from beetle galleries found in a canyon live oak (Quercus chrysolepsis). This was the first official detection of foamy bark canker in Santa Cruz County and the first detection on this oak species. The sample was found in the Santa Cruz Mountains, close to the Santa Clara County border on a homeowner’s property. Declining oak species have been found in urban landscapes and open spaces throughout the coast range of California. The disease is associated with the western oak bark beetle. Symptoms occurring on the trunk and primary branches include wet discoloration seeping through the beetle’s entry holes. The seepage is often “foamy.” The understanding of disease biology and management are only beginning to be understood. Declining coast live oak (Quercus agrifolia) trees have recently been found throughout urban landscapes in Los Angeles, Orange, Riverside, Santa Barbara, Ventura and Monterey counties. A fungus associated with a specific beetle is causing the decline by spreading what is known as foamy bark canker disease. Fig. 1. 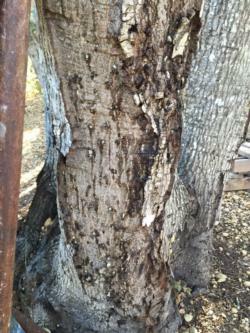 Suspect foamy bark canker in Santa Cruz County November 2015. Photo: Nigel Belton. Sudden oak death (Phytophthora ramorum)was detected for the first time in San Luis Obispo County during the 2016 citizen scientist-based sudden oak death survey (SOD Blitz) of California forests and parks. Positive samples were found on California bay laurel throughout much of the county in native landscapes, making it the 16th P. ramorum-positive county in the state and the southern-most wildland detection. Mortality of susceptible true oaks is not yet evident, suggesting the outbreaks are recent. Because these are the first detections of the pathogen south of Monterey County, the UC Berkeley Garbelotto lab will be working closely with the California Department of Food and Agriculture and USDA Animal and Plant Health Inspection Service to validate the data for regulatory use. This finding may expand the quarantine and therefore may affect nurseries located in the expanded quarantine. Many common nursery crops are susceptible to the pathogen whichand can infect leaves, stems, and roots. Soil can be infested with long-lived chlamydospores and mycelium in plant debris and fallen leaves. Although the disease is usually not serious on ornamental crops, there is concern that the pathogen could be moved on nursery stock to new areas and eventually infect new landscape and forest hosts. There are federal and state quarantines that require inspections for nursery stock shipments from quarantined counties, and periodic annual inspections and sampling of hosts,. and i If the pathogen is detected, eradication of the pathogen is necessary and affected plants will be destroyed. Although hosts of P. ramorum show a range of symptoms, in general the disease is characterized by irregular necrotic leaf lesions, rather than distinct leaf spots. 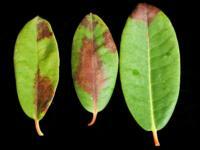 Leaf infections can develop down the petiole and into twigs. Often, such as in camellia, infected leaves fall off before the lesion reaches the petiole. Infections may occur initially on stems or move into stems and cause blights, in which stems and associated leaves wilt, become necrotic, and die.  A distinct dark line can mark the advance of the infection on some species. Root infections are not commonly seen because they are either not common or symptoms are not expressed. Symptoms are not always readily apparent on nursery stock, and a weekly systematic monitoring of introduced stock or other plant material by a trained nursery scout helps ensure that the pathogen has not been introduced. For high-risk incoming shipments, unload nursery stock in an area that can be cleaned of leafy debris, because infected leaves often drop from plants. Sweep debris from the receiving area and delivery truck and bag for disposal. Loading and delivery areas should be as far from production areas as possible. Figure 2. Rhododendron leaves infected with Phytophthora ramorum. Photo: by S. Tjosvold.